In conventional login forms the user inputs (username, password) his/her information on the HTML form which can easily be logged by Key Logging programs. 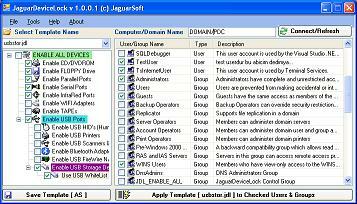 However, the JaguarEditControl can be used in the HTML forms, instead of normal password inputbox, to secure the personal information and login data. 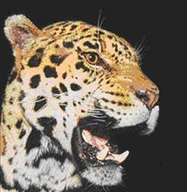 The difference is created by JaguarEdit which generates Key Jamming for key loggers when the user presses a key and produces hundreds of undecipherable keystroke messages to the hacker's logging programs and blocks windows hooks to prevent activity motion recorder. In addition to this feature, the key logger is blocked by Clipboard Copy/Paste and GETTEXT properties of JaguarControls that builds armor for the textbox which becomes invulnerable to external hacker attempts. The JaguarControls are smaller than 40K which allows them to be simply installed for any application on the Internet. Furthermore, the ActiveX version is not only used on WEB but also is used on all kinds of windows applications such as Secure Logon. 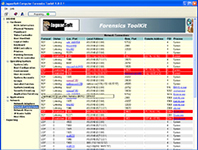 As a result, JaguarControls is the only ActiveX solution in the World that has a wide range of implacability to prevent spy programs and key logging activities. (Eye For Fraud Detection) feature collects the unique Token information on Logon Session . This token includes machine specific data like PC Name, UserName, PC MAC adress & Local IP address, Default Gateway MAC address & IP etc. This Token is post with Logon information and parsed on Server Site. It's analized with DataBase info, collected from user's previous safe logon information. Finally Fraud Detection Server returns a percentage ratio to identify Fraud level like %95 FRAUD etc. With this ratio, On-line Banking Logon Server may decide for Logon to the session or prohibit, or decrease the Transection limits. Normally most of the commercial/personel on-line banking users are logon from their office/home. By using Default G/W MAC address, users location can also be identified. For example, if a user which is captured password and Laptop/PC, can be detected as FRAUD because G/W MAC does not match. The Bank can define different rules by analizing Customer Logon Info DB activities. By using this mobile technology, we create a JaguarOTP one-time password generation JAVA application to generate OTP’ s , specifically for on-line banking and all other security sensitive applications. The application can be created for each end-user with his/her own unique signature and sent to the user’ s number via SMS to install. This application reduces security risks to minimum on critical applications, such as on-line banking. Because every password is used only once, there is no theft risk associated with logging with malicious programs. Losing the mobile phone also does not create a risk, because the application on the Mobile Phone is protected by personal PIN/Password. This application works on hundreds of different phone models in the market and does not require any customization. 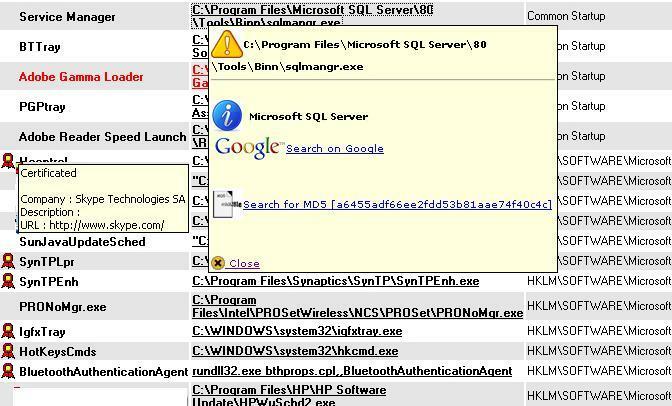 Solution easily creates, encrypts and changes the passwords for the Windows clients. It uses BLOWFISH strong encryption for Network communications. It is very useful for the companies who has large number of servers. All the passwords (for example, local admin ) can be changed periodically with the rules defined by Security Department. It's a very useful tool for IT management/Security Departmans to control the usage of PC I/O‘s. It prevents data leaks and unautharized Network access by setting user-by-user (or group) I/O access rights on Local Computer or Domain accounts. 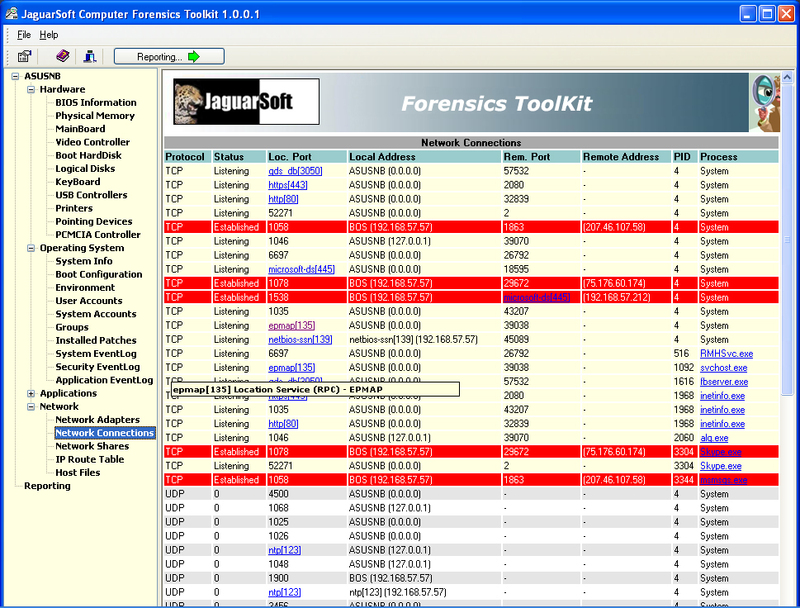 JaguarDeviceLock gives network administrators control over which users can access what devices (floppies, serial and parallel ports, DVD-ROMs, CD-ROMs, ZIPs, USB, FireWire, Infrared, WiFi, Bluetooth, etc.) on a local computer. Once JaguarDeviceLock is installed, administrators can control access to floppies, CD-ROMs or any other device, depending on the time of day and day of the week. JaguarDeviceLock enhances access control for Windows System Administrators and helps control removable disk usage. It can protect network and local computers against viruses, trojans and other malicious programs often injected from removable disks. 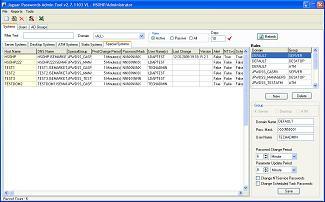 It's a very useful tool for IT management/Security Departmans to inspect the victim/suspect machines. 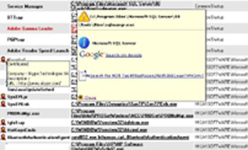 Easly creates detailed Forensics HTML Reports, By anaylsing well-known BHO & Toolbars. And also Detect Rootkits & API Hooks , Hidden Processes and Hidden drivers. It checks all network usage & Shares, Verifies Digital Signatures. Two Way is a combined inbound and outbound SMS gateway which allows applications to communicate with the GSM/SMS network using very easy integration mechanism. Directly connected to SMSC Server with SMPP 3.X protocol to send & receive SMS messages. With Customer defined Actions can be easily integrated to any Backoffice system via Database connection, StoredProcedures, HTTP, XM Web services. Automatically responds to incoming SMS via DB Tables and XML Web Services. 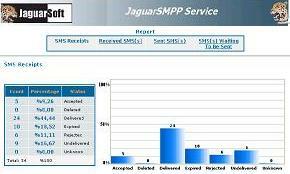 Furthermore, the JaguarSMPP software uses an open specification 'queue' mechanism to allow inbound messages to pass in or out via e-mail, web or custom application interfaces, depending on the organisation's individual requirements. It's designed to work on all VoIP architecture. With the IP VRS, enterprises are able to communicate via IP phone safely, record conversations real-time, and review them at a later time. With IP VRS, the main focus is to meet the entrepreneurial requirements of today’s competitive financial enterprises, call/communication centers and service companies within their sectors using IP infrastructure. The system can be integrated with the Cisco Call Manager, allowing the system to record calls along with miscellaneous information such as the Calling ID, or the Called Part, which in turn, allows the user to speed-sort calls according to different criteria. It works with all Camera connected to Windows PC. 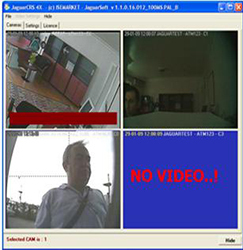 With strong Motion detection faciltyt you can capture the pictures to the PC HD in desired periods and with easy Web Interface you can access to the pictures. Cheapest way to deliver real-time data to masses. Support TCP point-to-point and IP Multicat to for streaming data. PushServer provides to build advanced push applications or to add push capabilities to existing applications. Push applications are applications that allow automatically or manually published content to be proactively delivered to specific user populations in a personalized manner.For example pushing real time financial market information, , dynamic order routing system, on-line portfolio calculation, user notification for personel transaction etc. Push contains two components, delivery and notification. These elements are critical to ensuring that a user not only possesses the right information wherever they are, but also ensures that user is alerted to the presence of new information. Unlike in the ‘pull' world of web pages, users do not have to initiate the information collection activity instead information finds the user. The environment for communicating information is going through a major change. New devices allow access to information wherever they may be. The expectations of users are changing. The type of information that a user needs to access is broadening. As this new information becomes a critical part everyone's lives this information must be able to find the users wherever they may be. Any successful communication application must be able to reach users wherever they are and on whatever communication device they are using. ISEMarket push server is a distrubuted UNIX application and easy to extend, push the information to the thousands and thousansd users. It can run on any Unix environment such as Solaris, HP-UX IBM-AIX and easly integrated to customer's Mainframes/Backoffice systems. Cheapest way to deliver real-time data to masses. 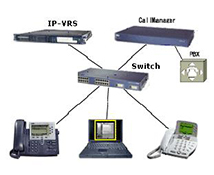 Utilizing IP Multicast technology which enables one copy of digital information to be received by multiple computers simultaneously. In none-Multicast applications, all traffic in IP networks is unicast: point-to-point data flow. 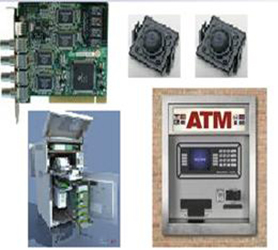 This push-server technology requires too large bandwidth and therefore is limited with server bandwidth capacity. Bandwidth is expensive and requires new investment each time demand surpasses existing capacity. Also, data delivery can be hampered by delays and long waits. Our IP Multicast implementation requires no server investment, no bandwidth investment, no security issue (firewalls, etc.). You do not even have to be on the net (we can host it). You can realize significant bandwidth savings and your return on investment can be quite rapid. Multicast Server provides to build advanced Multicast applications or to add Muulticast capabilities to existing applications. Multicast applications are applications that allow automatically or manually published content to be proactively delivered to specific user populations in a personalized manner. By Multicast technologys you deliver data and notify the userand specific user groups. These elements are critical to ensuring that a user not only possesses the right information wherever they are, but also ensures that user is alerted to the presence of new information. Unlike in the ‘pull' world of web pages, users do not have to initiate the information collection activity instead information finds the user. Multicast server can send data to unlimited users on the net which are capable to receive Muticast packets. It mean, with one ISEMarket Multicast Server, you can send the simultaneous packets to the millions and millions users without any delay. It can run on any Unix or MSWindows environment. (WinNT, Win2000 Server,Solaris, HP-UX IBM-AIX) and easly integrated to customer's Mainframes/Backoffice systems. %100 Java Tech. Analysis provides a light tool for Financial portals. Compatible with PushServer and MulticastServer, generates snapshot data (Charts , Quotes etc) for financial portal.